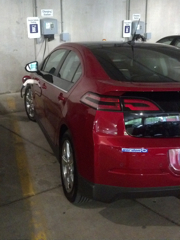 Charging stations such as these allow families and businesses to purchase electric vehicles with confidence, knowing they can recharge their cars while working, shopping, or visiting downtown Ann Arbor. Thanks for visiting our portal. Happy charging! The City of Ann Arbor created the Ann Arbor DDA in 1982 as a tool for improving the quality of its downtown area. Over its history, the DDA has been a significant and influential catalyst for the revitalization and renewal of downtown Ann Arbor. Its work is done by a small staff and Board of twelve citizens appointed by the Mayor and City Council. DDA members volunteer their time, talent, and expertise for the benefit of the downtown. They serve four-year terms and work through committees to accomplish the goals of the DDA. 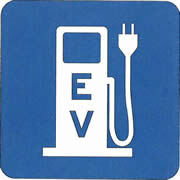 Just look for this sign to find the electric car chargers.